Tey Meadow’s sympathetic sociological study Trans Kids explores the changing social dynamics for families of transgender children and other children who bend or break gender norms. Comprehensive in scope, its interviews and observations follow families like Claudia and Rick, who are deciding whether to help their child medically transition between genders before puberty, or Yvonne, whose extended family decided that poor parenting led to her child’s gender nonconformity and refused to support her choices. To help trans children flourish, the book argues, society needs to do more than strive to be open and accepting; there are no such easy answers. Interviews reveal the varied effects of the parents’ approaches to allowing children to wear gender-nonconforming clothing, play with oppositely gendered games and toys, and call themselves by opposite-gender or nongendered pronouns. Though the text is often technical, it remains accessible to those with limited prior knowledge. An appendix on gender terminology helps clarify new vocabulary. Narrative sections avoid judgment and prioritize describing people in their own terms. The concluding chapter is an example of deep attention to detail, as Meadow reencounters a child from the study, who is now twenty-one. Details of the young adult’s comfort with her nonconforming gender identity, including using different names with different people, show how trans kids can grow into confident, self-assured adults without fitting into society’s narrow gender expectations. Varied and precise language helps maintain a slow but steady pace through dense technical sections on historical trends in gender nonconformity. Sharp distinctions—“It may look like gender is becoming more fluid, but in fact it is becoming more highly differentiated”—refine and consolidate the book’s many anecdotes. 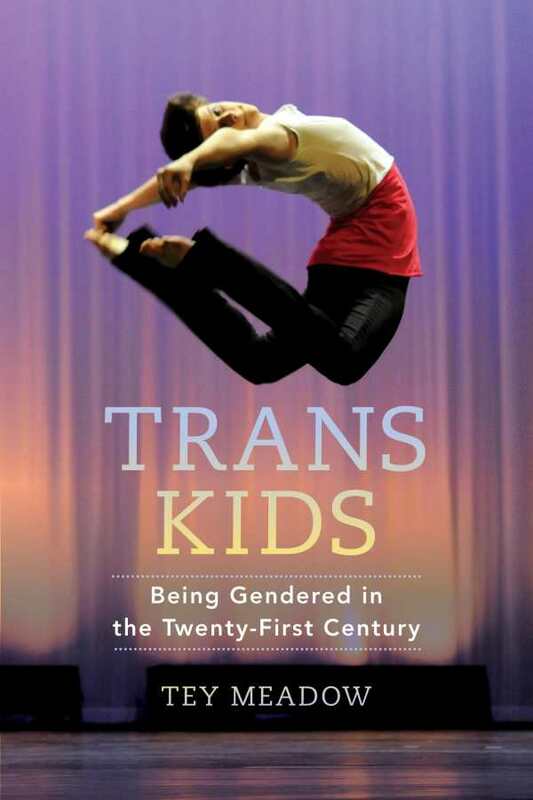 Trans Kids is excellent work that combines compelling narratives with extensive ethnographic descriptions of parents’ and children’s experiences.